UDM members attacked in E Cape - SABC News - Breaking news, special reports, world, business, sport coverage of all South African current events. Africa's news leader. Eastern Cape police have confirmed an incident in which four United Democratic Movement (UDM) members were allegedly attacked while campaigning at Khaleni village in Mbizana. 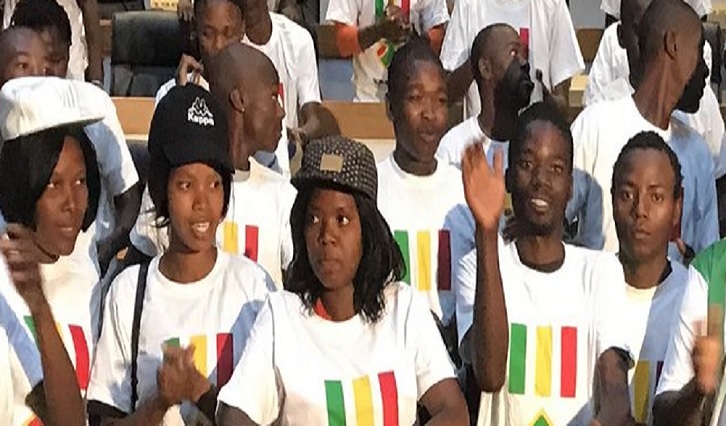 A group of people wearing African National Congress (ANC) regalia allegedly prevented UDM members conducting a door-to-door electioneering campaign. The UDM members were all admitted to St Patrick’s Hospital with minor injuries. Today, UDM members whilst on a door to door campaign in Ward 7, Khaleni A/A, Bizana, EC, were assaulted by ANC members, led by a certain Tsepo Hlabe who is fortunately known by the UDM members. This barbaric act has been reported to the Police & IEC. This is believed to be the first incident of political intolerance in the Eastern Cape. The mushrooming of new political parties is also seen as a threat to the older parties, who had made some areas their base. Police Spokesperson, Khaya Tonjeni, says the case is the first of its kind since the pronouncement of 8th May as the election date. UDM Provincial Spokesperson, Mabandla Gogo has expressed shock at the incident. Meanwhile, the ANC has distanced itself from the alleged attack, undertaking to conduct own investigation. “We are not aware that there was a fight between the members in Mbizana … that the members of the ANC and the members of the UDM! But we are going to investigate! But we, as the ANC, have taken a decision that not even a single member that is allowed to involve ourselves in fighting. If there are contradictions or whatsoever in canvassing, we are not allowed to involve ourselves in fighting. So, we, as the ANC, we are going to investigate which members and who were assaulted, by who, because at the time we are not aware of that problem,” says Alfred Nzo Regional Chairperson is Sixolile Mehlomakhulu.